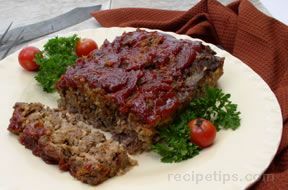 In a large bowl, combine the lean ground beef, ground pork, chopped onions, garlic, seasoning salt, Worcestershire sauce, bread crumbs, mustard, salt and pepper and eggs. It is often easiest to use your hands to blend the ingredients together. 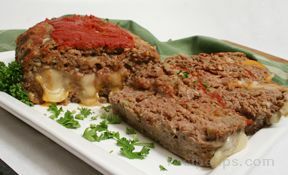 Pack the mixture into a greased, 9 x 5 loaf pan and smooth the surface. 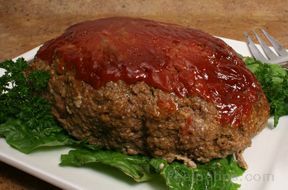 Spread the ketchup on the top of the meatloaf. Bake in a preheated, 400º degree oven for approximately 1 hour. 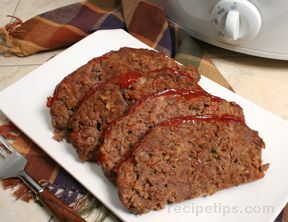 The internal portion of the meatloaf must be cooked to a minimum temperature of 160º as indicated by a meat thermometer.